If you are interested in joining the lab submit a CV, a short (one-two-page) description of research interests and experience, and contact information for at least two references to careers (at) hancocklab (dot) com We look forward to hearing from you! We wish to express our thanks to all applicants for their interest and effort in applying for the position; however, only candidates selected for interviews will be contacted. The Department of Microbiology & Immunology is seeking a highly qualified and motivated full-time Bioinformaticist to start Jan 1, 2019 under the supervision of Dr. Robert (Bob) Hancock. The successful candidate will join the Hancock research group and will perform algorithmic and statistical analyses on genomic and transcriptome sequencing data sets. Specific projects will involve the human immune response, cystic fibrosis, sepsis, bacterial mobility, bovine Tb as well as novel peptide therapeutics that target inflammation. This position involves running genome sequencing data analysis pipelines, testing and maintenance of existing sequence-analysis pipelines, automation of routine programming and data-analysis tasks and workflows, managing and processing genomic data, interpretation of results and, where necessary, contributing to the development of software implementing novel algorithms and statistical models. The successful candidate will provide consultation to researchers on study design, analysis and statistical methods. For additional information about the Hancock lab and the department, please visit http://cmdr.ubc.ca/bobh/ and https://microbiology.ubc.ca/. 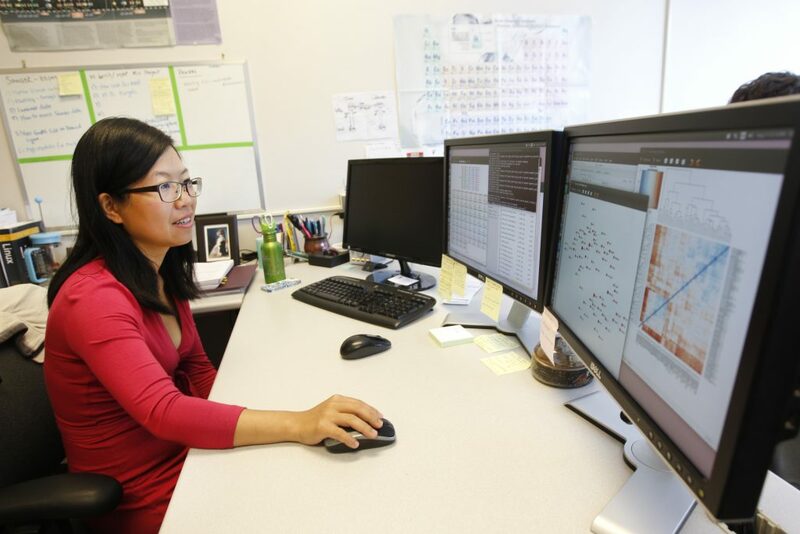 Applicants with PhDs in Bioinformatics and/or Computer Science need to show demonstrated experience with biological data and a strong comprehension of human biological systems. To Apply: Submit a CV, a short (1-2-page) description of research interests and experience, and contact information for at least two references by e-mail to: careers@hancocklab.com and please include the job number RA012019 in the subject line. Deadline for applications is Monday December 10, 2018.